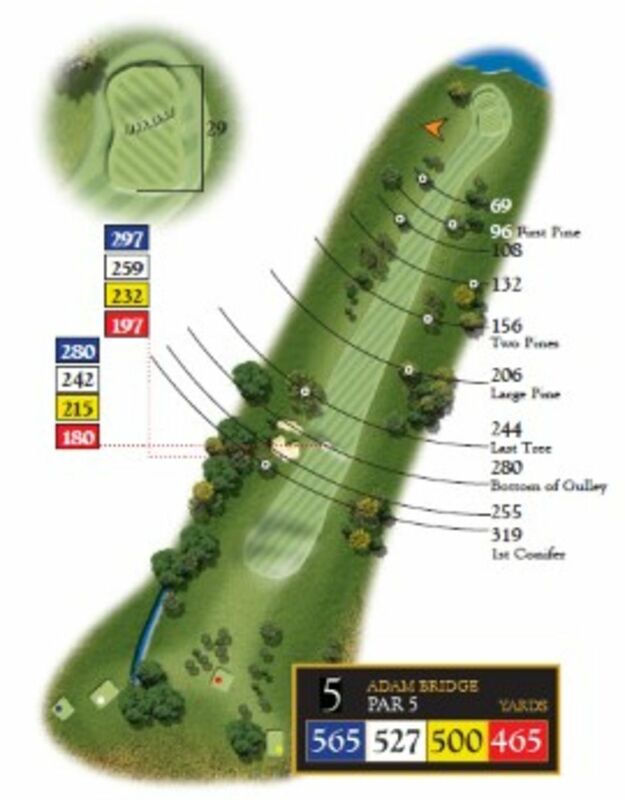 The fifth hole is a 527-yard Par 5 which runs out towards the Adam Bridge and Kedleston Hall. 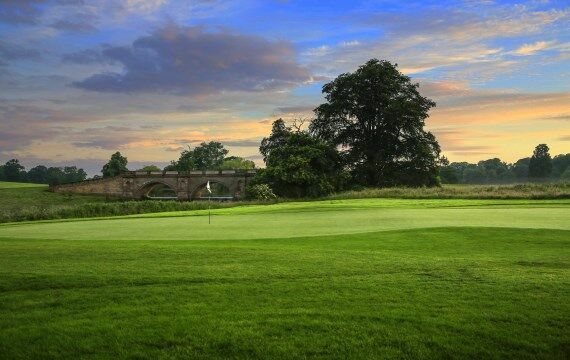 The tee shot is protected by two bunkers that occupy the left hand side of the fairway and push you out to the right. There are no bunkers protecting the green but a small swail to the front left may gather your ball. 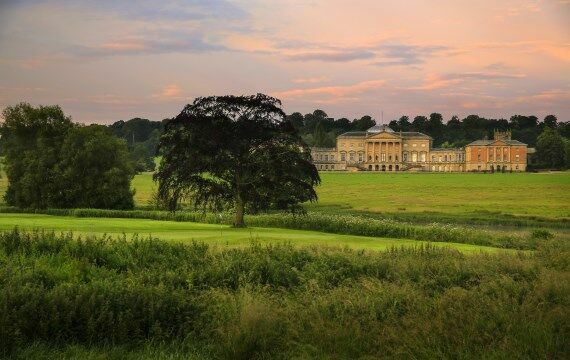 Pro Tip – Keep the ball on the fairway and you could be rewarded!